The chance to volunteer abroad could completely transform your experience in Thailand! There’s so much to see and do in this Southeast Asian country, and as a volunteer you’ll have the opportunity to go beyond the usual touristy attractions – forging meaningful connections with others and experience the culture like a local person would. Friends for Asia (FFA) has developed a variety of Thailand volunteer opportunities, including the chance to teach Buddhist monks, work with orphans, volunteer with elephants and even scrub-up for a medical internship. Not only that – our project fees are among the cheapest available. Explore this website to learn more about our exciting opportunities to volunteer overseas, and find out how you can make a difference during your next visit to Thailand. Volunteer in Bangkok and Chiang Mai Thailand! Our volunteer Thailand work projects will see you going to work in a range of settings. Thailand is a multifaceted country, and we have set up two bases from which to coordinate service projects in the kingdom. One of these bases is in cosmopolitan Bangkok, a world-class metropolis that attracts upwards of 16 million international visitors each year. As a Volunteer in Bangkok go beyond the well-beaten tourist track and find yourself on the front lines of this amazing city. Apply for one of the volunteer projects coordinated by Friends for Asia, and you’ll do much more than visit temples, view the sights and sample the cuisine. Instead, you’ll join a dynamic group of people dedicated to changing lives and transforming communities by promoting better education, facilitating healthcare and providing support to those who need it most. Volunteer in Chiang Mai, Thailand! Friends for Asia (FFA) first launched our Volunteer and Intern Projects in Chiang Mai in 2007, and the volunteer projects in Chiang Mai that we coordinate are among the longest-running and most successful that we offer. With the help of conscientious travelers like you, Friends for Asia has been strengthening communities and changing lives in Chiang Mai for years. Best of all, our inexpensive and flexible programs make it possible for you to spend time volunteering in both Bangkok and Chiang Mai. Maximize your experience and explore all that Thailand has to offer. We have worked with more than 2,000 volunteers over the past few years. Each person that accepts an assignment at one of our project sites is debriefed once their project is complete. We listen to your feedback carefully, in order to better understand why our participants seek volunteer opportunities abroad and to learn more about the positive impact they were able to achieve on assignment. The information we learn from these close-of-project interviews helps us refine each project and maximize its benefit. We understand that the human connection is a critical part of any volunteer project. Whether you’re in service at a local orphanage, teaching English at a rural school or promoting women’s empowerment with an NGO in Bangkok, you’ll be spending time in direct contact with the people you’re serving. The relationships developed while volunteering, along with your contribution to those you are serving, will certainly enrich your trip to Thailand. Those who volunteer overseas see a side of Bangkok that the average tourists miss altogether. While regular visitors spend much of their time interacting with tour guides, fending off touts and haggling profusely at local markets, FFA volunteers are engaging the local Thai people in much more profound ways. We operate in country and are well-acquainted with the staff at each project site. Our Thai staff members are highly qualified, expertly trained and proficient in English, which makes them uniquely equipped to liaise with you and the project site where you serve. We equip each of our volunteers with extensive information about Thailand and then follow up with a two-day orientation and ongoing in-country support. Each of our project sites is carefully vetted and well-organized to ensure maximum benefit for everyone involved. When you volunteer in Thailand with Friends for Asia, prepare to make a real and meaningful difference. Something as short as a two-week project has the power to change lives – and not just those of the people you’re serving. It could change your life as well. Volunteering abroad is an excellent way to add depth and meaning to your travels. It allows you to visit far-off places and enjoy all the attractions that a tourist would, knowing all the while that your journey is about more than ticking off must-see attractions from a list. Instead, when you volunteer abroad, your journey involves engaging with the local culture, interacting with others and making a real difference in the process. But arranging a volunteer project that is really going to put your skills and energy to good use is complicated business – especially when you’re trying to make all of the preparations from the other side of the world. If you don’t have a local network to leverage at the destination where you’d like to volunteer, it’s difficult finding your way to a respectable project site that will make the most of the time you have to invest. Factor in the need to arrange suitable accommodation, decipher the local transport offerings and learn as much as you can about the culture before your first day at the project site, and it’s easy to see how so many would-be volunteers become overwhelmed. This is where Friends for Asia can make a difference. Our team has spent years developing volunteer project sites in Thailand and throughout much of greater Asia. We’re committed to partnering only with organizations that are really trying to make a difference – schools, orphanages, conservation centers and foundations – and we work hard to maintain those relationships. When you volunteer in Thailand with Friends for Asia, you gain direct access to that network. We also provide you with accommodation and the preliminary training needed to thrive in the local culture and begin learning the language. Thailand is an especially rewarding place to volunteer. To begin with, Thai people are some of the warmest, most fun-loving and welcoming people on Earth. Our volunteers tell us over and again how much they enjoyed getting to know the people at their respective project sites. In fact, this often ends up being the most memorable part of their project. While still developing, this Southeast Asian nation has plenty of infrastructure in place, which means signing up as a volunteer doesn’t have to require giving up on creature comforts, missing out on new releases or going without your favorite foods. Furthermore, Thailand lies at an important crossroads of Southeast Asia. Dazzling temples, ancient ruins and real adventures on the frontier are either just around the corner or only a short transfer away. A short stay in this country provides access to an incredible array of sights, attractions and activities to enjoy. Of course, that’s without even mentioning the difference your stay could make in the lives of others. As one of the more developed countries in the region, Thailand attracts relief agency headquarters and NGO workers from around the world. As a result, finding a project placement where your skills are put to good use is easier here than in many other countries. Even if you only have a short time to offer, the work you complete in Thailand can make a real and profound difference. There are plenty of opportunities out there ready to arrange volunteer placements in Thailand, though far too many are interested in little more than your placement fee. The difficulty is finding an organization that’s as concerned with finding quality volunteers as you are with locating a project site where you can really make a difference. Friends for Asia carefully vets each of our project sites to verify that the work they carry out is really making a difference. We also require all respective volunteers to fill out a comprehensive application form, which helps us match the best candidates with the most suitable sites. But there’s more to it than that. As a volunteer, there are several key identifiers you should look for when searching for the best volunteer placement organization. Ideally, you want an on-the-ground partner who will assist with accommodation, project support and proper orientation. It’s important that you have a comfortable and conveniently located place to stay while you’re volunteering in Thailand. A reliable volunteer agency will, at minimum, make recommendations and help you find a place to be based during your project. But the best go a step further and arrange safe and secure volunteer accommodation as part of their standard offerings. All of the volunteer accommodation provided by FFA is conveniently located – either in prominent neighborhoods near restaurants, markets and evening entertainment options, or near the project site. For example, those working at the elephant camp stay on site near the elephants, while Bangkok volunteers are positioned in a bustling community just steps from the BTS skytrain. In every case, accommodation is safe, secure and comfortable. One of the great things about staying in volunteer accommodation arranged by the agency is the opportunity to meet and interact with other volunteers who are actively involved in a project. Thailand attracts volunteers from all over the world, and volunteer housing is always a lively place with people from all walks of life and multiple continents together under one roof. Meeting and getting to know likeminded people from far-off places is certainly a rewarding aspect of signing up. Most volunteers don’t have the time, resources or network to organize a viable project ahead of time. This is one of the most compelling reasons to partner with a volunteer agency. Doing so also affords other advantages – not least access to a well-organized team of coordinators. Organizing an on-the-ground support team is not as simple as merely posting a help-wanted ad and waiting for the candidates to show up. Finding the right coordinators – those who are proficient in English and well-versed in international cultures – requires an extensive vetting process. Far too many volunteer agencies take short cuts in this regard. But with a talented team of coordinators supporting you, it’s reasonable to expect to easily transition into your new project. They’ll serve as liaison between you and team members at the project site, ensuring that you’re well-informed of the current conditions and any recent developments. They’ll also be on call to assist in case any problems or emergencies occur. Launching headfirst into a new volunteer assignment would be daunting enough if you were doing so in your own country. But when volunteering in Thailand – where the culture, language and on-the-ground conditions are so different, overseas volunteers find it difficult to fully prepare for the experience. They often have to spend several weeks adjusting before they are really able to make a meaningful contribution to the project. A reputable volunteer organization will do much of the preparatory legwork for you, leaving you free to plan and prepare for your trip. A preliminary orientation also gives you a chance to get to know your project coordinators as well as other incoming volunteers. These first two days are always buzzing with anticipation, and we find that volunteers are usually eager to hit the ground running. The primary role of an agency is to provide support for its volunteers – both in sourcing projects and in equipping the volunteer for success while they are on the ground. However, there are many other ways that an agency can support you before and during your project. Once a volunteer has successfully applied to one of FFA’s projects, the first thing we do is forward a packet containing detailed information about their project site, as well as what to expect when they arrive in Thailand. In this sense, project support begins well before the start date. And once they are actively involved with their project, volunteers enjoy the support of our expert project coordinators. They’re on call to handle a range of situations – everything from airport pickups to emergencies. Most importantly, they serve as liaison between volunteers and the staff located at individual project sites. Thailand has so much to offer volunteers in terms of project sites. You can volunteer in a world-class city like Bangkok, where the dining and entertainment options are second to none. Or you can retreat to the countryside where the pace of life is charmingly slow and deliberate. Factor in potential weekend escapes to jungle-clad mountains, idyllic beaches or even neighboring countries like Cambodia, Laos or Myanmar, and it’s easy to see why so many volunteers choose Thailand as their preferred base of operation. In this section, we’ll look at a few of the primary places where you can work as a volunteer in Thailand. Bangkok is bold and brash – an intriguing city of contrast where old and new worlds collide. It features glamorous, multi-level shopping malls alongside eclectic, open-air markets. You can catch the latest blockbuster, witness an ancient Brahmin rite and then dine out at a trendy, fusion café – all in the same day. There’s truly something here for everyone. But the contrast runs deeper than the city’s entertainment options. Bangkok features a startling wealth gap, and it’s home to some of the wealthiest as well as most impoverished people in Thailand. In response to this, Friends for Asia coordinates much of its work in Bangkok with a relief organization that operates in a prominent city slum. They provide the families and children that live here with ongoing care while operating empowerment programs that equip and empower those in the slum to escape its clutches. And our volunteers supply those organizations with extra manpower. Working in Bangkok provides an excellent introduction to Thailand. It offers a cross-section of the country’s vibrant, regional cultures, all against the backdrop of a truly world-class city. And to facilitate the projects, FFA’s volunteer accommodation is located in an authentic Thai neighborhood near the BTS skytrain’s Sukhumvit line, so the entire city is yours to explore. Thailand’s de facto northern capital, Chiang Mai feels like it’s in a completely different world than Bangkok. It features all of the facilities and entertainment options needed to accommodate a 21st-century traveler, delivered with a bit of rustic, laid-back charm. The FFA volunteer accommodation in Chiang Mai is located within a short walk of the moat, which cordons off Chiang Mai’s historic core from the rest of the city. Visitors prize the northern capital for its alfresco walking markets, abundant northern cuisine and the access it provides to the densely forested mountains that have made the city such a popular retreat for outdoor enthusiasts and adventure-seekers. But run-of-the-mill tourists miss out on much of what makes Chiang Mai such a fantastic place to visit. By volunteering in Chiang Mai, you’ll have the chance to get to know locals, as well as their day-to-day routines, in a way that you never would if your only primary contact were with service staff, merchants and tour guides. FFA volunteers enjoy an impressive selection of projects in Chiang Mai. They can teach English in local schools or in Buddhist temples. They have opportunities to assist single mothers, provide childcare for orphans or even stay at an elephant camp and train as a mahout. If you thought Chiang Mai was rustic and charming, wait until you’ve ventured into the countryside. The day begins at the break of dawn – with cattle and water buffalo lazily cropping grass at the roadside and farmers working a patchwork of plots with very little machinery. Sure, many residents have a smart phone with a Facebook account, but the pace of life in the countryside still moves to a bygone rhythm. It’s difficult to find volunteer placements in rural Thailand, largely because the organizations that could use the help of a willing international worker often lack the resources, network and language skills needed to connect with them. But for those who find their way to a placement in the countryside, the rewards are immense. 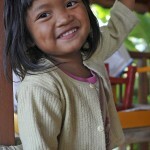 Friends for Asia operates a project site in conjunction with a school in rural Chiang Mai. Given the low cost of living in the Thai countryside, this is our most affordable volunteer placement. Accommodation is on site, which means volunteers are able really take in the atmosphere, take part in local festivals and get to know the people they’re working worth. Better yet, they’re providing a one-of-a-kind opportunity for children at the rural school to meet and interact with an international English speaker – a chance they wouldn’t otherwise have until much later in life when its impact is diminished. One of the reasons that Thailand is such a great place to volunteer is the sheer variety of placement opportunities available here. You’ll find everything from conservation projects in the countryside to temple placements in major cities. In between is a host of opportunities to work with children, promote women’s empowerment and teach English to Buddhist monks. In short, this is one of the world’s richest, most vibrant places to volunteer. All of the volunteer project sites that we work with have been carefully vetted to ensure that the program is genuinely trying to make a difference. We’re also serious about finding project sites where our volunteers’ expertise and energy can be put to productive use. As a result, lives really can be changed for the better though the work you do on project. In this project, volunteers join forces with a Bangkok foundation that operates in one of the city’s most prominent slums. The foundation aims to eradicate the stigmas of single-motherhood, along with the challenges that single mothers face in trying to support their families. Volunteers can help out in a variety of ways, such as providing childcare and, in some cases, accompanying expectant mothers to the hospital for check-ups. One of FFA’s first partners is a single mothers’ home in Chiang Mai that helps young mothers overcome the challenges associated with raising a family on a single income. Volunteers assist primarily with outdoor tasks such as gardening and construction, and the work they do enables the project-site operators and staff to focus more on their mission to help train single mothers and provide childcare services. Teaching English is one of the best-known ways to volunteer in Thailand, with placements available all over the country – from big cities to the countryside. Friends for Asia has worked hard to develop a few extra-reliable placements where volunteer teachers are well-supported and plugged into ongoing curriculum in which students thrive due to routine interaction with native speaking teachers. This is a variation on the typical volunteer-to-teach scenario, with a very Thai twist – the students are all novice Buddhists monks. In Thailand, it’s common for young men to spend a few days (or even weeks or months) as a Buddhist monk in order to make merit for their families. And in some cases, families from impoverished or rural areas will even send their sons to become monks for an extended period, for the educational opportunities it affords. FFA places volunteers in schools of this nature to assist with teaching English. This project site is always in need of volunteers to assist with childcare. It’s located in an impoverished neighborhood in Bangkok, where parents often have no choice but to leave their children with on-site caregivers while they go to work. Volunteers assist those caregivers and a few full-time teachers while they look after children aged three to five. This is a particularly important project, because – with plenty of care and a solid education – these young children have a strong chance of graduating the slum once and for all. For many volunteers, working with children is one of the most rewarding ways to get involved with volunteer projects in Thailand. FFA partners with two Thai orphanages – one at a prominent slum in Bangkok and the other at a rural location in Chiang Mai. We also organize volunteer projects at a government-run children’s home in Chiang Mai. Spend time caring for the younger children during the day and then playing with the older children and helping with homework once they return from school. Elephants are indigenous to Thailand’s mountainous jungles, and they were used in ancient times as beasts of burden and war. Today’s elephant populations are at risk, and elephant conservation camps in Thailand are combatting this by creating safe spaces in which the elephants can live and tourists can visit. As an elephant camp volunteer, you’ll spend time training as a mahout and caring for the particular elephant to which you’ve been assigned. Working this closely with an elephant on a daily basis is a once-in-a-lifetime opportunity. Thailand also offers exciting internship placements for volunteers who would like to gain valuable experience and boost their resume in the process. Friends for Asia offers enriching placements for qualified candidates in both Chiang Mai and Bangkok, which means the time you spend traveling in Thailand can be as beneficial to your future professional prospects as it is for the communities you encounter along the way. FFA provides medical internships at leading hospitals in Bangkok and Chiang Mai. Thailand is world-famous as a medical tourism destination, and as a result, the private hospitals here offer international-caliber care for patients from around the world. This ultimately works in the favor of residents, as it promotes higher standards for the local healthcare industry. As a medical intern with Friends for Asia, you’ll shadow a doctor or nurse on daily rounds and may even have the opportunity to administer some treatment, depending on your level of qualification and experience. In every case, the patient’s well-being is paramount. All of the doctors that we work with are highly qualified, and many studied medicine in the US or UK. This is an outstanding way for an aspiring student of medicine to distinguish themselves from their peers by securing hands-on experience early in their education. Chiang Mai is home to a thriving community of expats. As a result, it also hosts a range of international publications that cater to these international transplants. With this in mind, FFA has secured a partnership with the leading English-language magazine in Chiang Mai to provide interns with career-defining opportunities. By participating in the Magazine and Multimedia Internship offered by FFA, you’ll work side-by-side with a contingent of more than 40 international and Thai employees covering everything from local events to Southeast Asian features. Interns can get involved in several stages of production, including editorial writing, print and design, photography, web design and multimedia design. 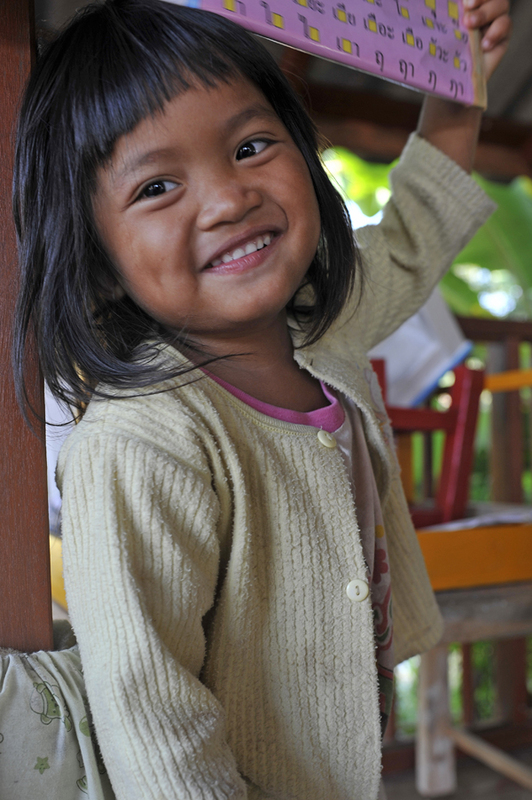 Friends for Asia has worked with thousands of volunteers in Thailand over the past few years. Each person that lends a hand at one of the project sites we partner with is debriefed at the end of their tenure. This gives us the chance to listen to feedback, share it with the project’s leadership and figure out how we can create an even more positive impact with each assignment. We believe that authentic human interaction is critical to the success of any volunteer project. Whether you’re teaching English at a rural school, working at an orphanage in Chiang Mai or interacting with Buddhist monks at a temple placement, it’s the relationships you make that will have the greatest impact. We understand that our volunteers really want to make a difference, and we go to great lengths in designing and coordinating projects to make that possible. But there’s also much to be said for the impact volunteering has on the project participants, themselves. Projects like these provide a type of insider access to Thailand, taking you beyond the touts and tour guides to an authentic level of participation in local communities. The connections and relationships formed while volunteering in Thailand will outlast your time spent on the ground. And that’s as true for you as it is for the people whose lives you’ve helped to change.